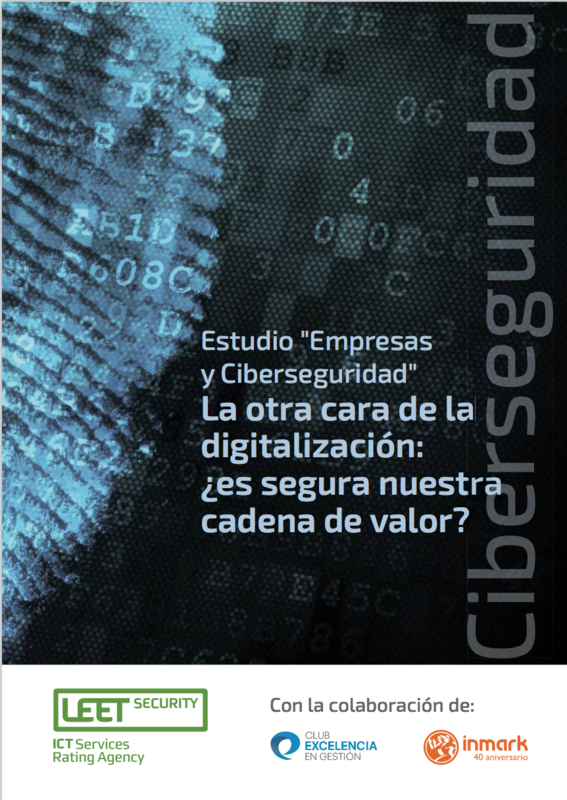 [Only in Spanish] Results of the second study of LEET Security, in collaboration with Club de la Excelencia en Gestión and Grupo Inmark, in relation with cybersecurity in corporations, analyzing specifically cybersecurity in the value chain. 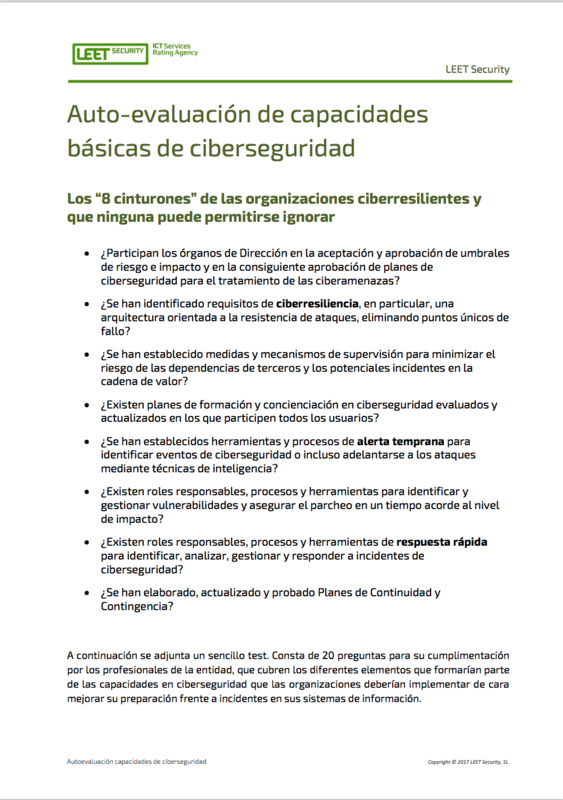 (Only in Spanish) This document shows the value proposition of LEET Security in evaluating the cybersecurity capabilities that organizations implements in their services. 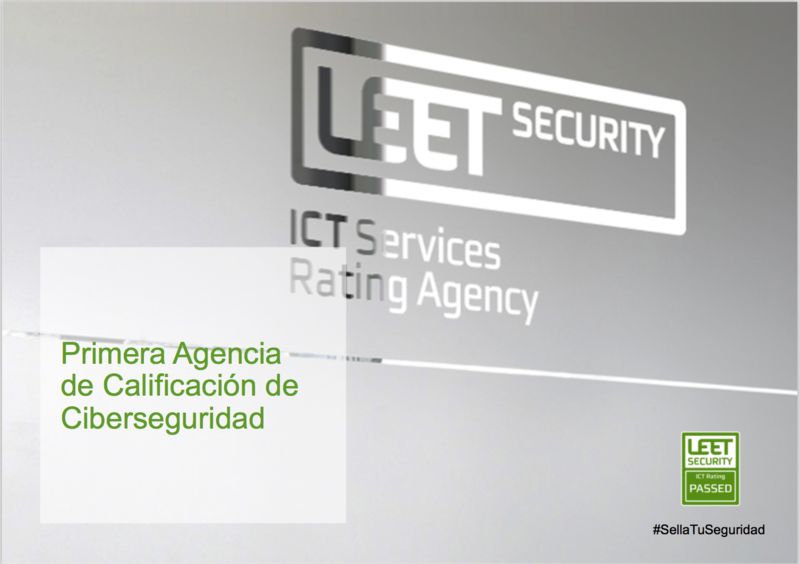 (Only in Spanish) This document describes the value proposition of LEET Security as certification entity accredited for certifying ENS compliance. 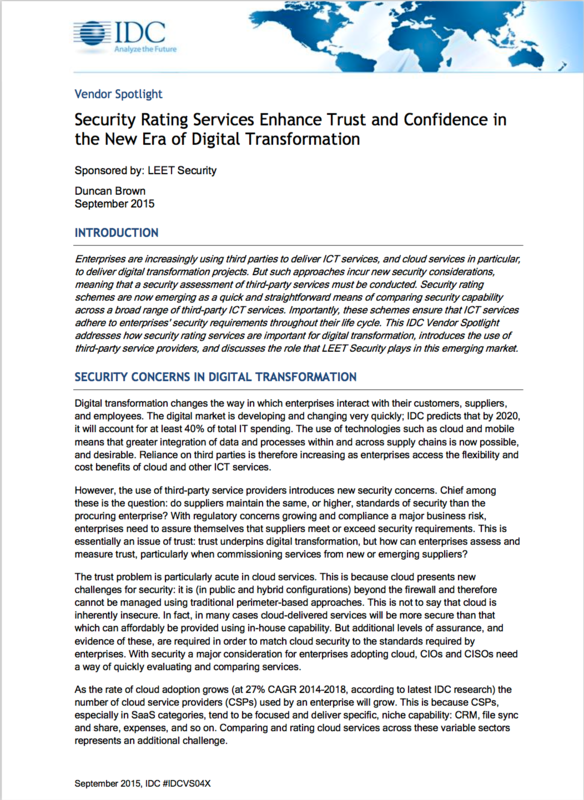 (Only available in Spanish)This document describes the value proposition of LEET Security rating as a valuable tool for Vendor Risk Management. 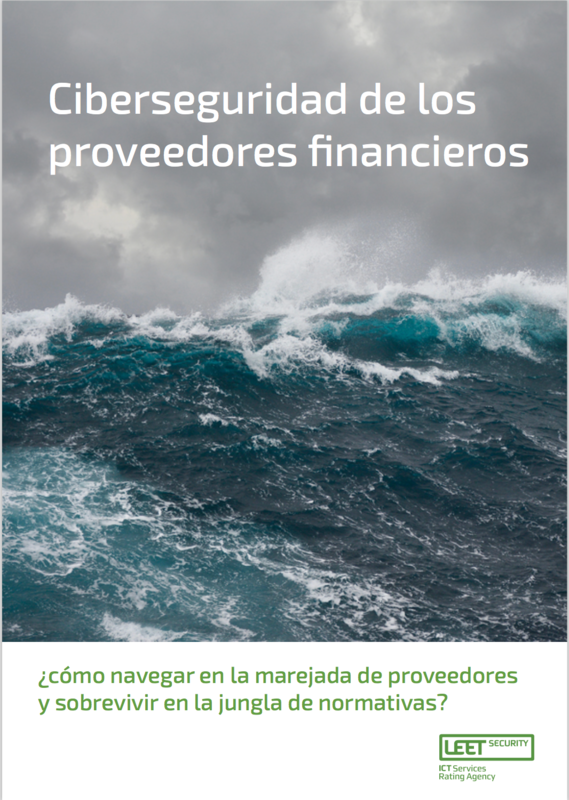 (Only available in Spanish) This document describes LEET Security value proposition in relation with GPDR compliance. Results of the first study of LEET Security, in collaboration with Club de la Excelencia en Gestión and Grupo Inmark, in relation with cybersecurity in corporations, analyzing specifically cybersecurity in the value chain. This whitepapers analyzes the legislation applicable to third party risk management and how cyber security rating contributes to make this process easier and more efficient.